Shopping online is becoming a fast trend now and you might even shop on one or two such as Lazada, Zalora, Groupon, and many more. It beat's the traffic jam, the unpredictable weather, the hike charges recently on parking and more. The online shopping mall has fast becoming a favourite among many including me. And most payment gateway is quite secured. SHOPBACK, A Top Online Deals and Cashback Site in Malaysia is another online shopping mall but with a little bit of a twist. 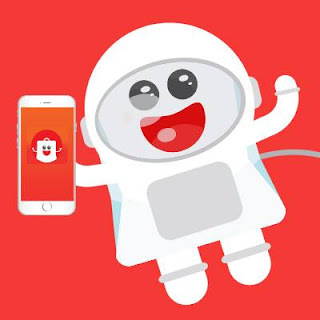 A Singaporean E-Commerce based that utilized cashback reward program. Register with SHOPBACK and online shoppers are able to take a portion of their cash back when they purchase items through the service. They provide discount coupons and voucher codes for the online shopping. Currently affiliating with over 300 merchants worldwide, which include among others ZALORA, LAZADA, GROUPON, TAOBAO and many more. Enjoy cashback with Lazada vouchers and find daily Groupon promo codes on SHOPBACK. 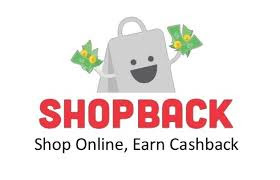 Spend online through SHOPBACK, SHOPBACK will give you a portion of your purchases back as CashBack. Saving? How is saving when we shop online? Merchants rewards SHOPBACK with certain commission for referring client to Merchants website. Instead of keeping the rewards, SHOPBACK decide to share the rewards with their clients. Click on any store through SHOPBACK and get redirected to choosen store's website. Shop as usual and make a purchase. Your CashBack will turn into 'Redeemable' once order is validated by the Merchant. Bonus can only be cashed out when the Redeemable Cashback reaches RM 10.00 to any Paypal or bank account. Log In or Sign Up first a ShopBack Account. Then once you are in, browse through the list of online stores and click on which store you wish to do your shopping. A 'Few Things to Note' pop-up will appear. So if you are going to do shopping with ShopBack, please allowed the pop-up prompt t0 appear. Now you shop till you drop as the saying goes haha... but do the order in the same tab so that ShopBack can track the order and amount spend. You want to be paid right? DO NOT FORGET to read Terms & Conditions of each Merchant for CashBack as not all items are cashback. There is another way to track your purchases. By using their CashBack Buddy Extension. You need to install these extension to your browser. It's much easier to track your purchases through these. With just a click at the browser. I always shop through shopback and had earned some returns too. Great way of savings. Just becomes the member as seeing so many great feedback from the users. Hope to earn some returns as well after purchasing.